In the world's largest ride-hailing market, Uber isn't even in the picture. "Any large Chinese city is equal to a small country" when it comes to ride hailing, said Bain partner Raymond Tsang, one of the authors of the report. The United States is the world's second largest market, at $12 billion. In China, Didi Chuxing is the dominant player, accounting for 90% of trips, according to the report. Didi is known globally for driving Uber out of China in 2016. The US company sold its China operations to the Beijing startup after a fierce, multibillion-dollar battle for customers. Uber ended up with an 18% stake in Didi. 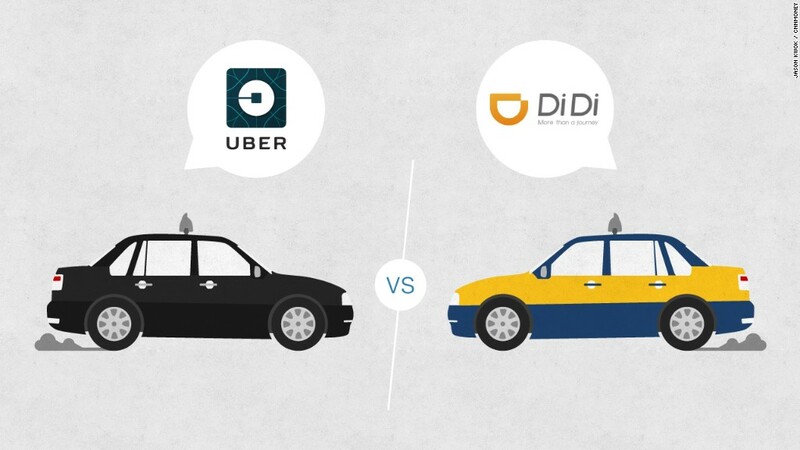 While Didi dominates the Chinese market at the moment, it is still vulnerable to competition. Bain found that only 40% of ride-hailing trips in China are ordered through Didi's app. The rest are booked using third-party apps such as Tencent's (TCEHY) WeChat or Alibaba (BABA) affiliate Alipay. Rival startup Meituan Dianping is also going after Didi. Meituan enables users to use a single app to order a huge range of services, including food delivery, movie tickets and flights. The company started offering ride-hailing services to its 320 million active users earlier this year, a move Didi saw as a direct challenge. "If you want war, you will get war," Didi CEO Cheng Wei said of Meituan's plans in an interview with Chinese financial magazine Caijing. Didi and Meituan both have the cash for a protracted battle. But they'll be fighting for passengers who aren't particularly loyal, according to Bain's Tsang. "Customers don't care, they only care about cost and availability," he said. Bain estimates China's ride-hailing market will more than double in the next couple of years to $72 billion by 2020. But fierce competition is likely to allow only a small number of companies to survive. "We're seeing a lot of acquisition and consolidation," Tsang said. "And profitability among these players has not been very high, to say the least."